Now, the basic idea of crossovers is nothing new; even the ancient Greeks did that, most notably in the story of Jason and the Argonauts. But it is only recently that these cross-media stories have started to become common, as part of the push towards franchise formation. 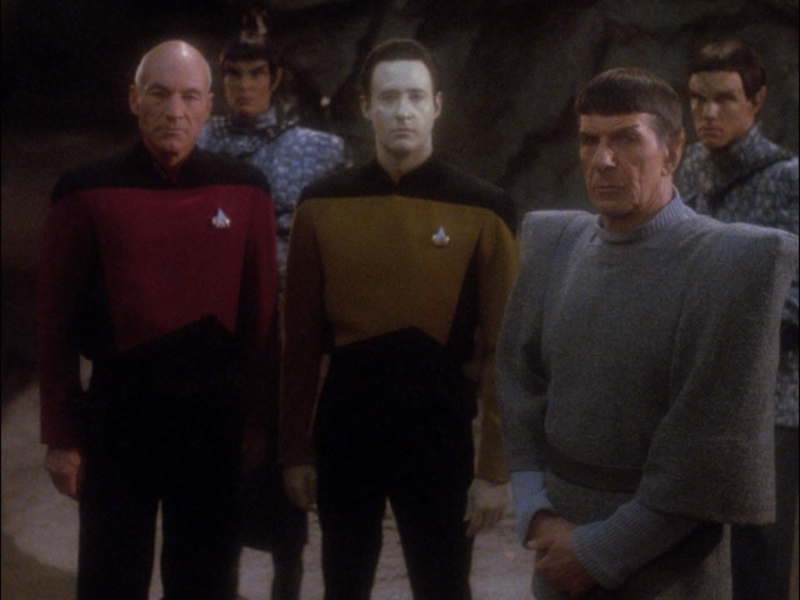 If you have any familiarity with Star Trek, then you know that TNG is set roughly 100 years after Kirk’s time. This allowed the writers of the show some free reign to do as they pleased without having viewers constantly ask where Spock was and what Kirk was up to, as well as making major changes to the political layout of the universe (such as the Federation and Klingons being allies in TNG) without requiring a lot of explanation. But it was complicated, at first; with the TOS movies still going on, often with a degree of uncertainty to them, the writers of TNG couldn’t talk too much about Kirk’s time without stepping on some toes. When Star Trek V came out, TNG didn’t really acknowledge it in any way (which is probably for the best, given how the film turned out). It wasn’t until Star Trek VI: The Undiscovered Country was released that we saw the first real crossover between film and a TV show. The team-up everyone had been waiting for. Honestly, this is one of my favorite episodes for a lot of reasons. In order to promote the film, the producers (Nimoy among them), decided to try having a TNG episode featuring one of the original crew. With Spock already the most popular character and the one with the best reason to still be alive a century later, it only made sense to have Nimoy be the one to appear. He actually agreed to work on the show for SAG’s minimum pay solely to help the film. And it worked excellently, pulling in over 25 million viewers who were eager to see Spock and Picard team up. Spock provided some tantalizing tidbits of history about the upcoming movie, people were hyped up for its release, and the film ended up being quite the success. It wasn’t the first crossover, as Spock’s father Sarek had appeared earlier on, but it was by far the most significant. The film reciprocated the gesture by having Kirk and McCoy’s Klingon defender in the courtroom scene played by Michael Dorn, marking the character as an ancestor of TNG main character Worf. Having seen how successful it could be, these kinds of crossover references continued into the future, such as with the appearance of Deep Space 9‘s U.S.S. Defiant in the TNG film First Contact, and the change of uniform over on DS9 to match with the new uniforms seen in that film. In these early days of franchise formation, however, there were few opportunities for other series or films to do the same, so the phenomenon stayed more or less confined to Star Trek. Flash forward to today, where big franchises have become the norm and Marvel has taken great strides to prove that the shared universe is a viable film option, and things appear quite different. Wanting to expand from the realm of film, Marvel executives finally settled on the idea for a show focused on the S.H.I.E.L.D. organization from the films, and thus Agents of S.H.I.E.L.D. was born. The show, henceforth referred to as SHIELD because those dots are a pain, is essentially a spinoff focusing on Agent Coulson and a team he builds to deal with the weird occurrences of the Marvel universe. Of course, the big difference between SHIELD and TNG is that the films and series are taking place concurrently. So what difference does that make, then? Well, for starters, it means that SHIELD can’t just ignore a movie, the way TNG did. They have to acknowledge it, because with the level of destruction that typically accompanies a modern blockbuster it’d break the suspension of disbelief wide open to ignore it. And secondly, because of the way that SHIELD was spawned, its purpose is to help support those films. So, even for something like Guardians of the Galaxy that takes place thousands of lightyears away, it must have some sort of connection. This is where it gets complicated–by being so tied into the films, the writers have nowhere near as much freedom as those on TNG. Foreshadowing. The writers of SHIELD knew about what would happen in both Captain America 2 and Thor: The Dark World well before they were released. With the former, which had major consequences for the show, they were able to start setting things up. Much like Spock’s comments helped prime people for Star Trek VI, SHIELD was able to set things into motion just prior to the film’s release by mentioning things (Triskelion building) or showing minor characters (like Agent Sitwell) getting into position that they’re seen in during the movie. The show hasn’t done too much on this front yet, mostly out of fear of spoiling the films, but I think we’ll see more of this as it continues. 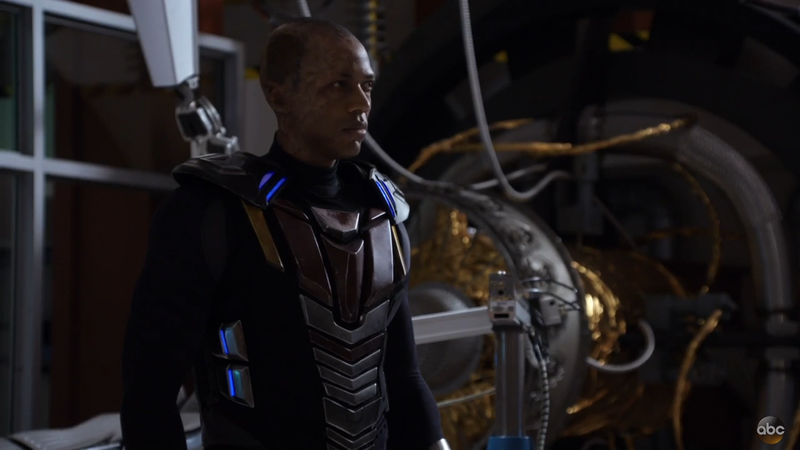 Was anyone really expecting Deathlok to be a major part of SHIELD? Had you even heard of him beforehand? Aftermath and consequences. One of the common criticisms of superhero films (and blockbusters in general) is that they like to end on an upbeat note, with the villains defeated. The only problem is that this kind of happy ending often ignores the incredible amount of carnage that took place over the course of the film. 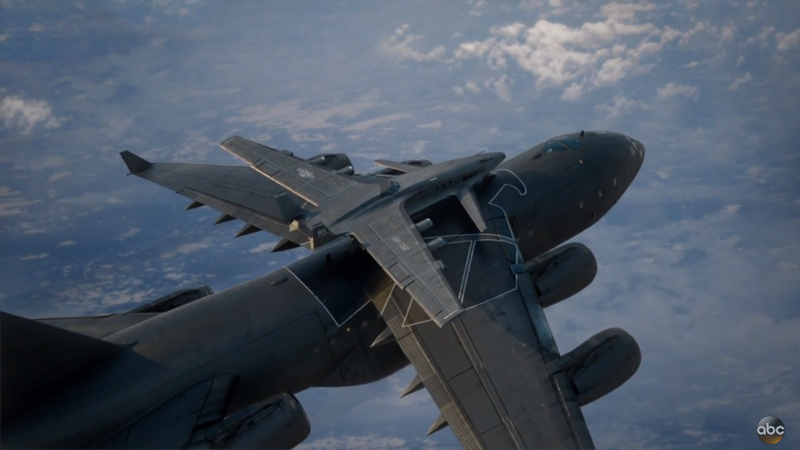 With SHIELD set in the same universe, the characters of the show often have to clean up this fallout directly (quite literally, in the case of Thor 2). Just take a look at the episodes aired after Captain America 2. The course of the show’s plot was so radically altered by the film that it made the intervening episodes look like they were just spinning their wheels (which is arguably one of the biggest drawbacks to this approach, although that’s a discussion for another day). Instead of just saying “we beat the bad guys, problem solved,” we were able to watch the consequences unfold, and see the effects of that film continue to resonate to this day. It’s fair to say that the entirety of season 2 of SHIELD is going to be built on picking up the pieces. As a testbed for lesser known characters. See, Marvel’s in a bit of a pickle with the way their film rights are distributed. Their most popular characters, like Spiderman and Wolverine, belong to other studios. Personally I think this has been a good thing, as it forced Marvel to think outside the box, leaving us with delightful films like Guardians that we likely wouldn’t have seen otherwise. Marvel has to dig deep for characters, and having a show like SHIELD gives them a place to try these characters or concepts out without investing a hundred million dollars in a feature film on something risky. This should be seen as a good thing by fans, in my opinion, because it means a lot of characters will be coming to their screens that wouldn’t have had any chance at appearing on film otherwise. No doubt if one proved popular enough, it could potentially lead to spinoffs or even films focusing on him/her. You never know; I mean, who saw a Jessica Jones TV series coming? Naturally, this kind of thing has some problems, too; the producers were well aware of the possibility of people asking “why don’t they just call Iron Man for help?” Star Trek also faced this issue, during the period where the TNG films were in theatres and DS9 was still on the air. Late seasons of DS9 focus on the Dominion War, which is briefly mentioned in one film (Insurrection) but otherwise conspicuously absent. In this case, it really did leave one wondering where the Enterprise had been and what they were doing for the whole war. There is a throwaway line stating that the Enterprise has been on diplomatic missions, but it’s a rather transparent excuse that exists solely to imply to the audience “don’t worry, you didn’t miss much.” And if you ask me, Insurrection really missed an opportunity by ignoring it. Rather than the weak immortality plot, it could have been about rogue Starfleet admirals trying to evict these aliens in order to create some kind of superweapon to use against the Dominion. It’s not a huge change, and it would require slightly more context, but not enough that people unfamiliar with DS9 would be out of the loop. Just open the film with the Enterprise in battle and show the kind of losses Starfleet was suffering. It would have been a lot more convincing and morally gray than what we did get. SHIELD decided to tackle this problem by making it so that the problems dealt with by the team are both smaller in nature, and often occurring in secret. 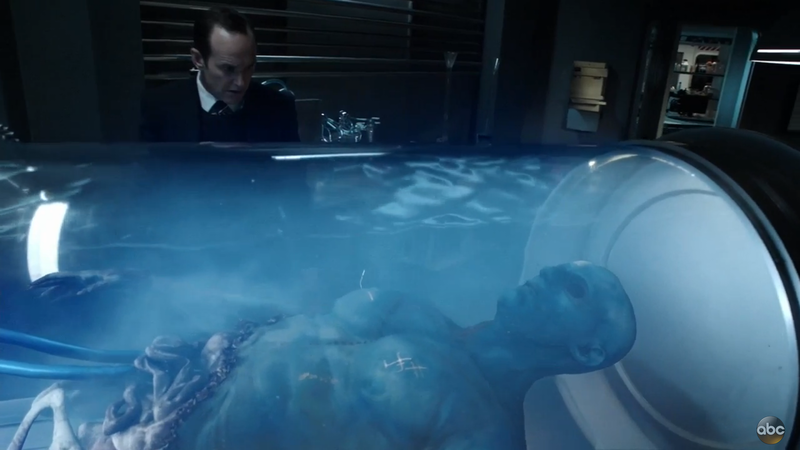 The Avengers aren’t allowed to know that Coulson is still alive, and they aren’t privy to upper level classified information, such as the information on metahumans. They also made it clear from the beginning that the show was to be about what value ordinary humans held in a world of demigods and super soldiers. Now that the lid’s been blown off, however, it should be interesting to see how they deal with this shared universe. With no movies scheduled for release during the second season (Avengers 2 should be right around the time the season ends), the SHIELD writers will be less tied down than before. But can they make the best of this newfound freedom? We’ve got a little under a month until we find out.